“I can work really hard to finish the book manuscript for the editor. I tried the first one for a while, but working really long and hard didn’t leave me very happy. In fact it left me downright cranky. I was so focused on work or enjoy that I didn’t do either well. 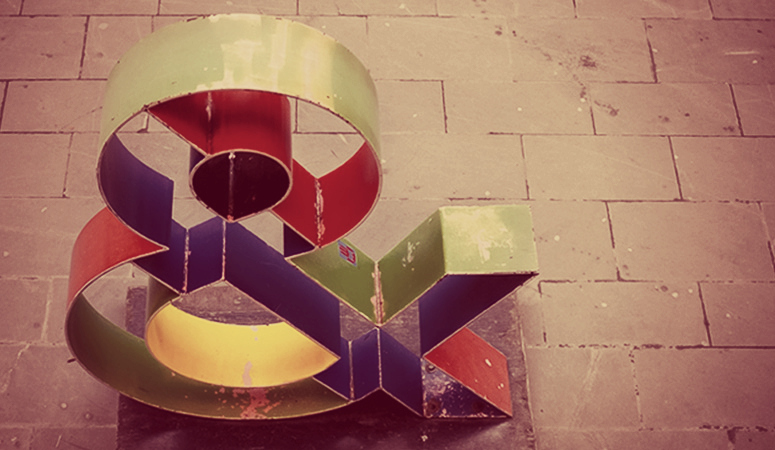 As I surveyed more of my “or” stories, I realized an “or” mentality rarely serves me. “Or” most often leaves me with a sense of lack instead of abundance. “Or” leads me to believe when I pick one option, the rest of life will naturally have to suffer. We can fix the roof or go on vacation. I can exercise or be happy. I can be godly or follow my heart’s desire. I can be a good wife/mom or find my true purpose. I can have a long-lasting relationship or thrive in my job. I can deal with immediate life or pursue my dreams. Jesus offers us more life in grace. So what if “and” is actually a grace-filled word? Grace shows up in our lives to add something. Grace gives us the power to enjoy life in a variety of ways. Grace is primarily an “and” word because grace adds more life to life. And having an “and” mentality will help you grow, be open to possibility, and experience a variety of life-giving options. Now, using “and” doesn’t mean you’re stuck plowing through relationship boundaries or never saying “no” to another opportunity. Of course there will be things you don’t want. Be authentic and free to refuse those! But along the way, “and” opens you up to opportunities you never thought of. Funny how one little word can add creativity, joy, and life to life. What if you could save your pennies for the roof this summer and still take a family vacation? Maybe the trick is finding a vacation closer to home that’s less expensive. The point is to get away from normal routines, relax, and enjoy family time, right? So, if you use an “and” mindset, you might just get creative and come up with a way to have both: roof and vacation. What if it’s actually possible to deal with immediate circumstances and take a step toward your dream? Yes, life takes time and energy. Yes, you probably do face duties and responsibilities that pull you in too many directions at once. But you also have a God on your side who desires for you to live the adventure He created you for. He can help you conquer today and make a way for your dreams, even if it’s just one small step right now. I sat in that story for a while and got thoroughly sick of it. It was neither life giving nor fun. When the help didn’t show up immediately, I was bummed. When I felt all the pressure of publishing a book on my own, I was stressed. But you know what I found? The “or” was the false part of the story. I can have good help and still be responsible for the adventure God’s placed in front of me. Both are actually things I desire! Sure, life looks different than I expected. Sure, I’ve had to learn business-ey things I never thought I’d need to know. Sure, I never imagined help would show up in the form of editors and designers and print shop owners who live in different states. But God knew what He was doing. He’s not left me, and He writes great help plus grace energy into my story as I consider the “and” and watch Him work. 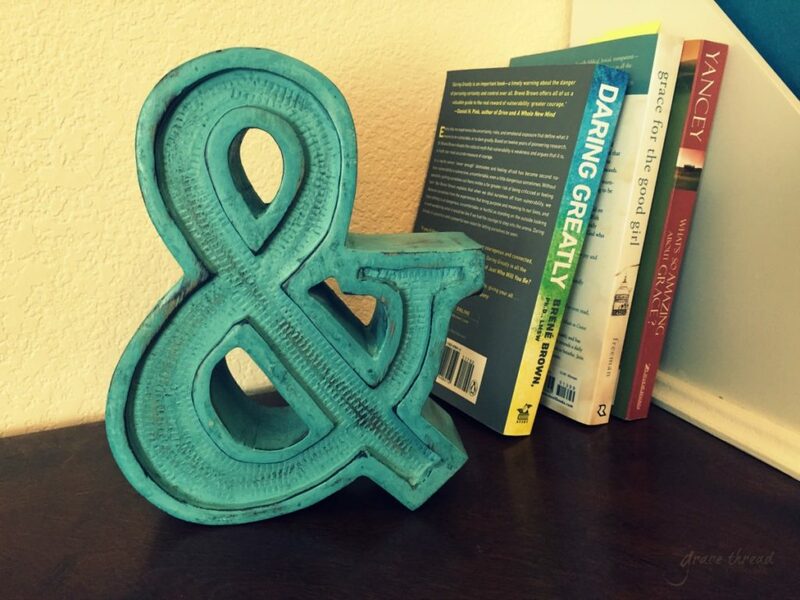 Last weekend I bought a rustic turquoise ampersand at T.J. Maxx on a whim. This cute “&” reminder sits on my desk to remind me of the beauty of possibility thinking. It helps me remember you and I can have our cake and eat it too. All it takes is a change of conjunction, a pinch of creativity, and a dash of grace!